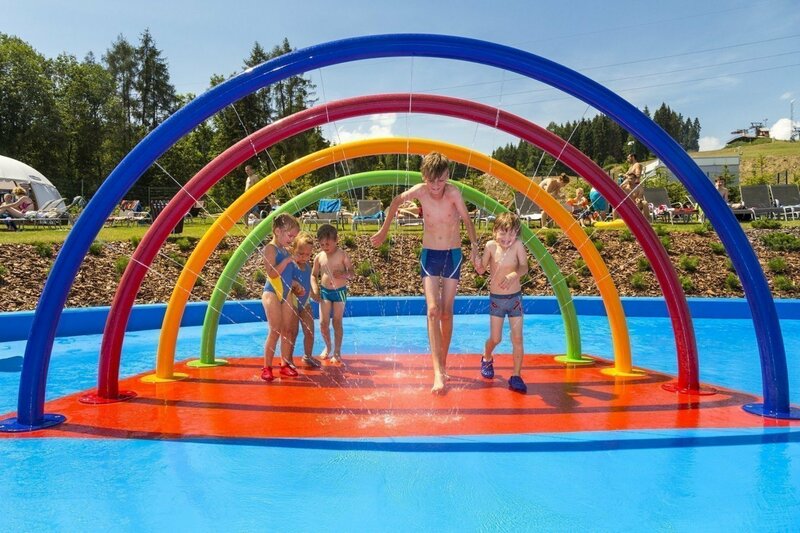 Summer Zone with all the attractions of our water theme park is a dream come true place for those, who love some water craziness. And it’s prepared in a way to perfectly accommodate families with children. 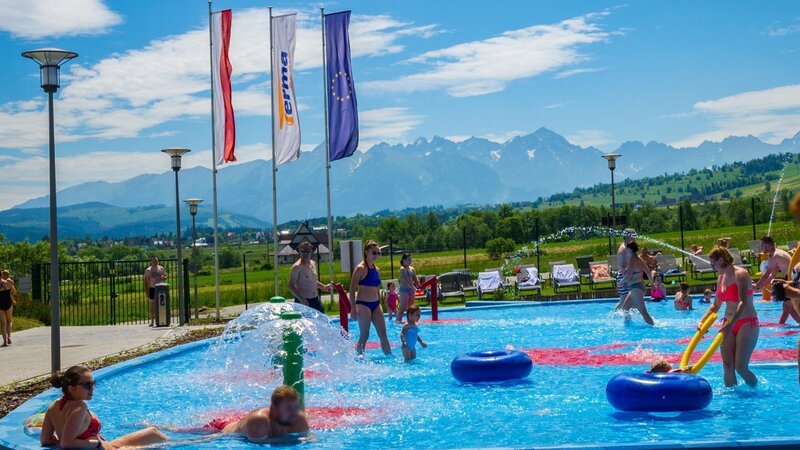 The zone consists of the following: Wet Playground, Inflated Water Playground, 3-track Water Slip with a total length of over 150 meters, dry playground, sunbathing zone that is covered with over 500 comfortable deckchairs, summer pubs and others. 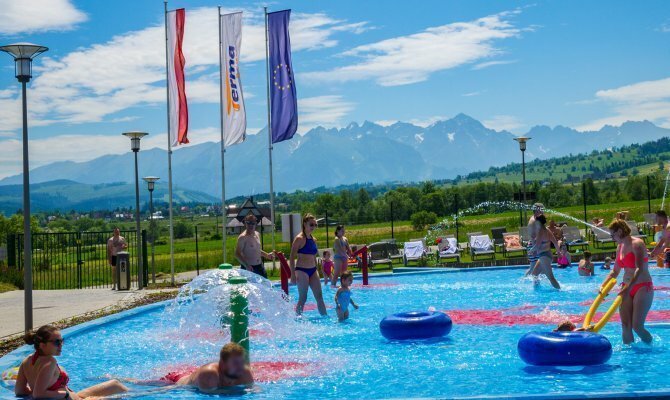 In the summer, our qualified instructors may entertain you with aqua fitness and zumba classes. 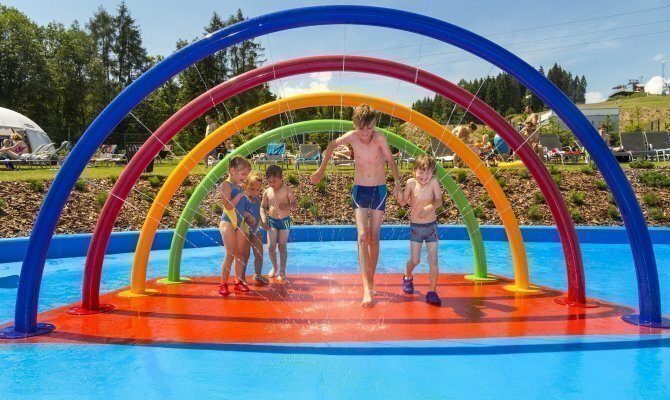 Summer Zone will be reopened in May/June 2019. The only water-air playground in the region can be found here. 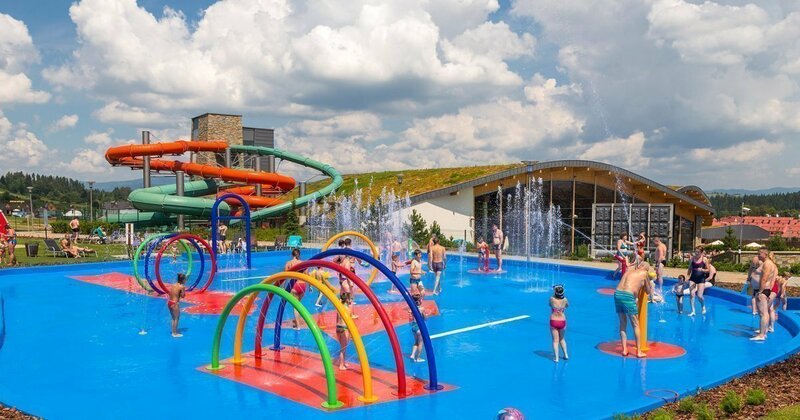 Covering the area of almost 400 square meters it includes inflated attractions of impressive size: pools, slides, flumes and water slips. 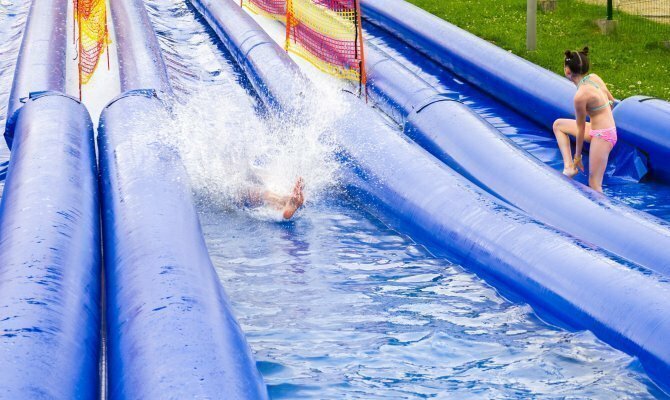 It’s all filled up with water and guarantees a huge amount of fun like never before! 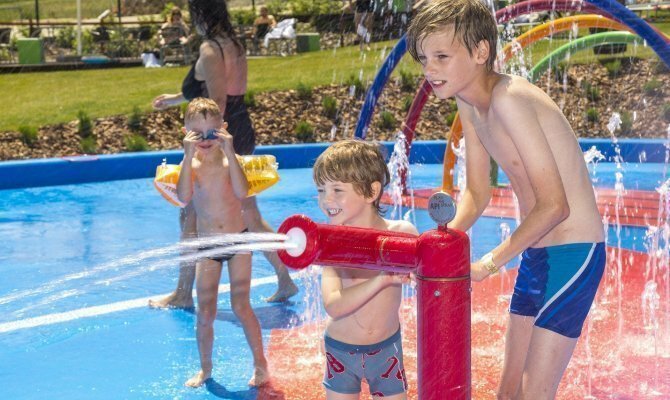 It is one of the most desired places for water entertainment during hot days. 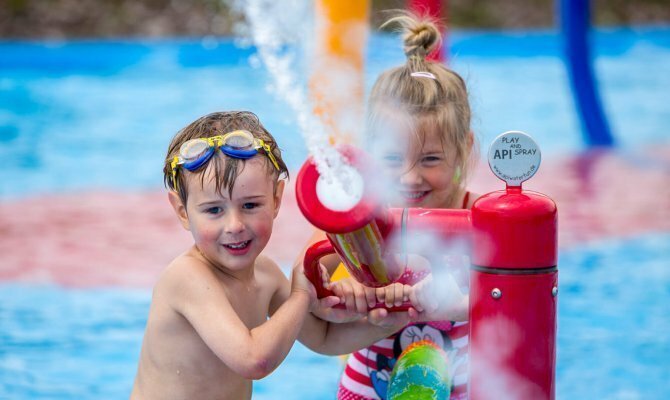 Its broad water area, which is equipped with cannons, sprinklers and water gates, will surely make the youngest and those slightly older kids very happy. 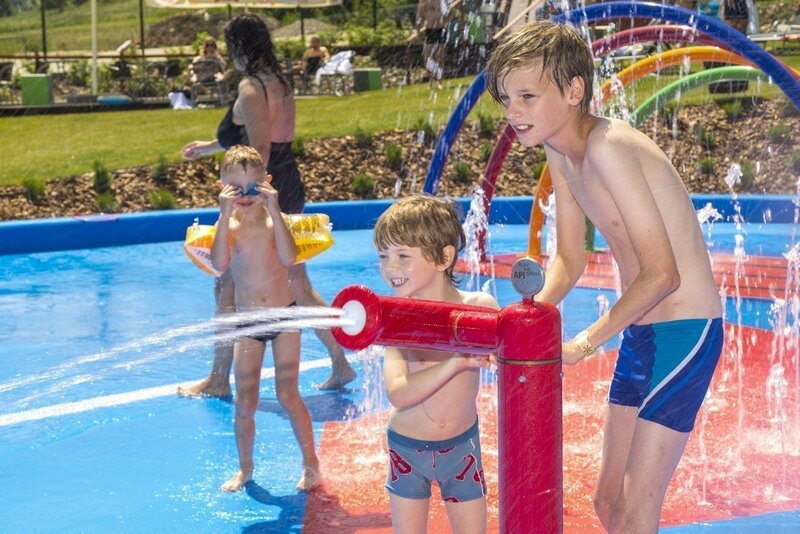 For the parents, who would normally relax around the playground, it can be a place for cooling down and joining with their kids to have some fun together. 3-track Water Slip has a total length of over 150 meters. It’s evenly irrigated and guarantees the amount of fun like never before. 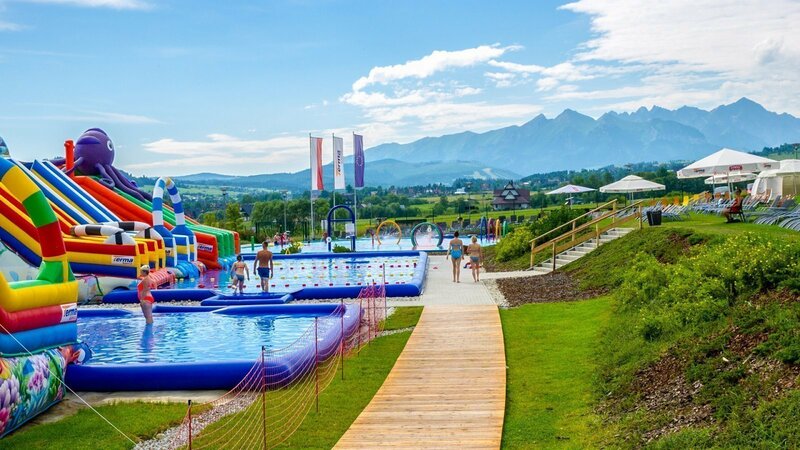 This is a paradise for children and water entertainment lovers. 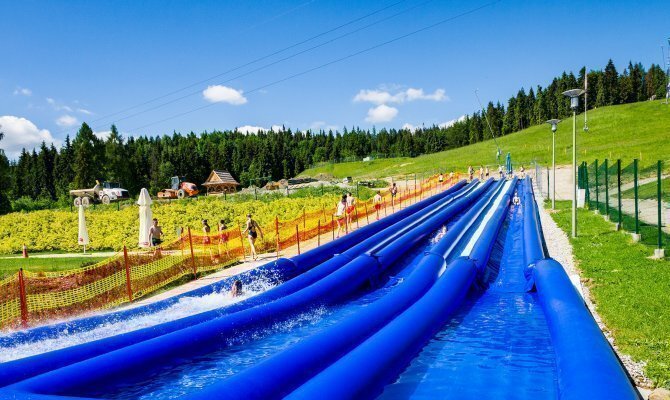 The slip, which is located in Summer Zone right next to Inflated and Wet Playgrounds, connects with them to create a water amusement park of an impressive size. So let the fun begin! 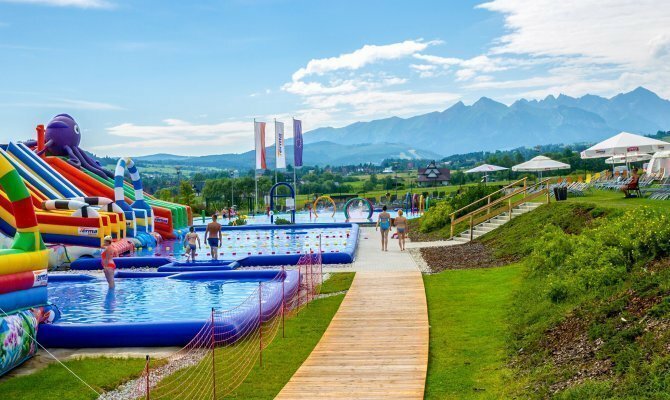 Playground at Bania Hotel is a small amusement park that is intended for kids of all ages. The youngest ones can enjoy themselves in a gigantic sandbox, or tire merry-go-round. Awaiting the older ones are hanging structures, tree houses, aerial ropeslide and many others. 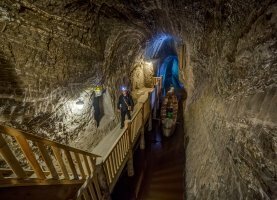 A place of summer activities, where you can stomp with dry feet. The following attractions are at kid’s disposal here: a huge sandbox along with accessories for playing, ladders for climbing, rocking horses, a merry-go-round, and little tables and chairs for the youngest ones. 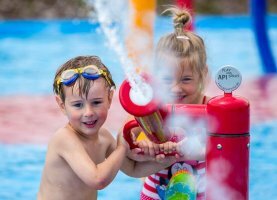 Our qualified Bania Kids animators will be available for planning a safe and exciting outdoor fun. This may allow the parents to take a break and relax.